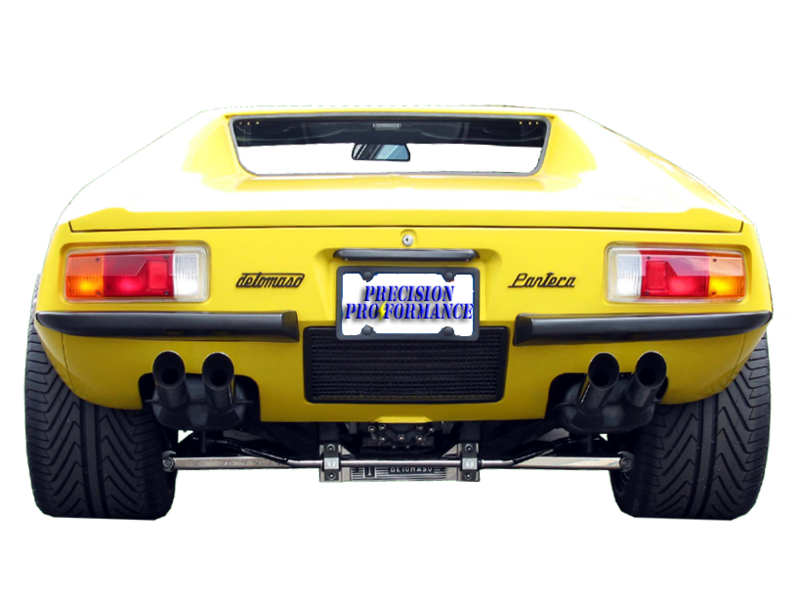 Here at PRECISION PROFORMANCE, we have not just owned DeTomaso Panteras, we have serviced, restored, and continually engineered and created products to improve them. 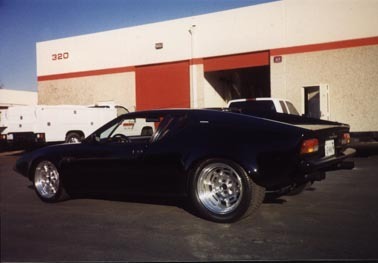 If you are looking for DeTomaso Pantera stock replacement parts, Pantera aftermarket parts, Pantera service, Pantera restoration, Pantera full racing preparation, a superb DeTomaso Pantera engine program, and the highest quality factory authorized DeTomaso Pantera ZF Transmission service and parts available, you are at the right place. 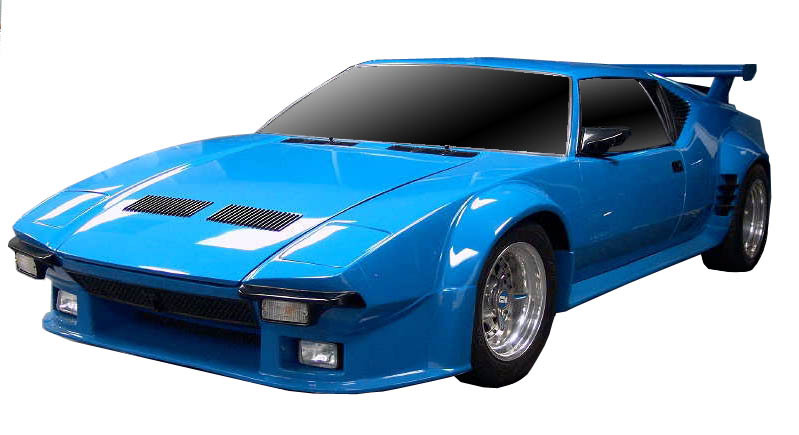 Call us for part information or questions about your DeTomaso Pantera (562) 691-2526 Find Parts Here. The car was designed by American designer Tom Tjaarda and replaced the DeTomaso Mangusta. Unlike the Mangusta, which employed a steel backbone chassis, the Pantera was a steel monocoque design, the first instance of DeTomaso using this construction technique. The Pantera logo included a version of Argentina's flag turned on its side with a T-shaped symbol that was the brand used by DeTomaso's Argentinean cattle ranching ancestors.The car made its public debut in Modena in March 1970 and was presented at the 1970 New York Motor Show a few weeks later. Approximately a year after that presentation Pantera made their scene on the market with production. The curious slat-backed seats which had attracted comment at the New York Show were replaced by more conventional body-hugging sports-car seats in the production cars: leg-room was generous but the pedals were off-set and headroom was insufficient for drivers above approximately 6 foot tall. Reflecting its makers' transatlantic ambitions, the Pantera came with an abundance of standard features which appeared exotic in Europe, such as electric windows, air conditioning and even "doors that buzz when ... open". Pantera. The 1971 Pantera could accelerate to 60 mph (97 km/h) in 5.5 seconds according to Car and Driver. 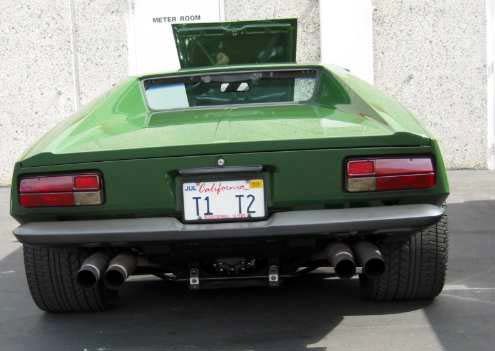 In the summer of 1971, a visitor to the De Tomaso plant at Modena identified two different types of Pantera awaiting shipment, being respectively the European and American versions. From outside, the principal differences were the larger tail lamps on the cars destined for America, along with addition of corner marker lamps. Not being a cost-accountant but a journalist, the visitor was impressed by the large number of cars awaiting shipment; in reality, spending the best part of a year under dust covers in a series of large hangars probably did nothing for the cash-flow of the business or the condition of some of the cars by the time they crossed the Atlantic. Late in 1971, Ford began importing Panteras for the American market to be sold through its Lincoln Mercury dealers. The first 75 cars were simply European imports and are known for their "push-button" door handles and hand-built Carrozzeria Vignale bodies. A total of 1,007 Panteras reached the United States that first year. Unfortunately, these cars were poorly built, and several Panteras broke down during testing on Ford's own test track. Early crash testing at UCLA showed that safety cage engineering was not very well understood in the 1970s. Rust-proofing was minimal on these early cars, and the quality of fit and finish was poor, with large amounts of body solder being used to cover body panel flaws. Notably, Elvis Presley once fired a gun at his Pantera after it would not start. 1972 De Tomaso Pantera Interior Several modifications were made for the 1972 model year Panteras. 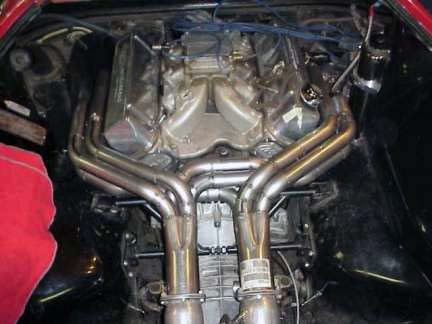 A new 4 Bolt Main Cleveland Engine, also 351 in3, was used with lower compression ratio (from 11:1 to 8.6:1, chiefly to meet US emissions standards and run on lower octane standard fuel) but with more aggressive camshaft timing (in an effort to reclaim some of the power lost through the reduction in compression). 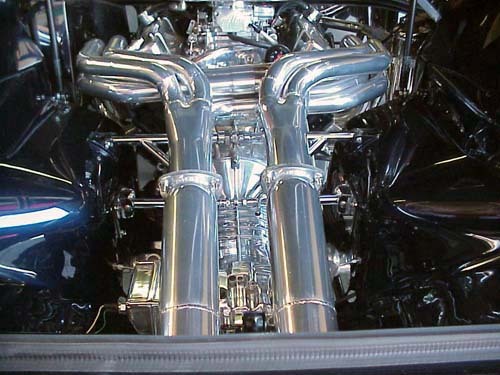 Many other engine changes were made, including the use of a factory exhaust header. The "Lusso" (luxury) Pantera L was also introduced in 1972. It featured large black bumpers for the US market as well as a 248 hp (185 kW) Cleveland engine. The U.S. version 1974 Pantera GTS featured GTS badging but not the higher compression, solid lifter engine of it's European GTS "cousin".Ford ended their importation to the U.S. in 1975, having sold roughly 5,500 cars in the United States. 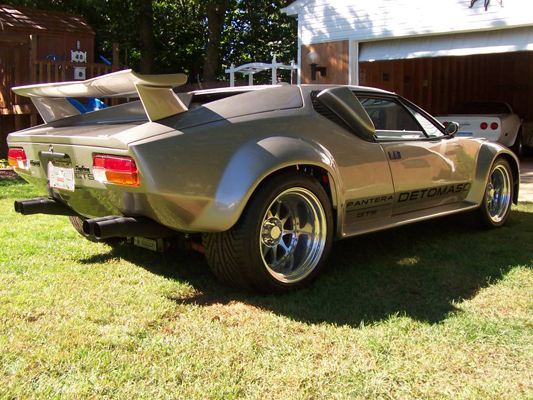 De Tomaso continued to build the car, however, in ever-escalating forms of performance and luxury for almost two decades for sale in the rest of the world. These included the GT5, which had bonded and riveted wheel arch extensions and the GT5S model which had blended arches and a distinctive wide-body look. The car continued to use a Ford V8 engine, but the 351 was eventually changed to the Ford 302 cu in (5.0 L). The last Panteras built (the Si) were producing around 500BHP. A small number of Panteras was imported to the US by gray market importers in the 1980s, notably Panteramerica and AmeriSport. In all, about 7,200 Panteras were built.